Stadia's Stream Connect will allow for split screen co-op. And since both players will be running their own instance of the game, you won't see the kind of performance hit to the game, which is what happens on consoles since a single system would normally have to support running both players' views of the world on screen. Google's streaming service isn't the only game in town, though. Nvidia's (NVDA) GeForce Now, available through a free beta, lets you stream games to your Windows PC, Mac, or the Nvidia Shield, the company’s Android TV-powered streaming device. Microsoft (MSFT) is also working on a streaming service called Project xCloud, which is expected to let you stream your favorite Xbox games to other devices. Trials for the service will begin later this year. Valve's Steam Link Anywhere was recently updated to allow you to stream games from your home PC to your Android device, while Sony's (SNE) PlayStation Now lets you stream games to your PlayStation 4. Amazon (AMZN) is also reportedly getting in on the streaming business with plans to offer its own service. Then there are the smaller companies like Blade's Shadow, a streaming service that lets you remotely access and use a high-end PC to do everything from gaming to video editing. Google's planned streaming service has been in development for more than two years and was first made available to consumers in October 2018 as a beta. During the beta's run, players could stream Ubisoft's "Assassin's Creed Odyssey" through a Chrome web browser tab. But as Google CEO Sundar Pichai admitted during the company’s keynote, that technical test was just to ensure Google could handle streaming games. 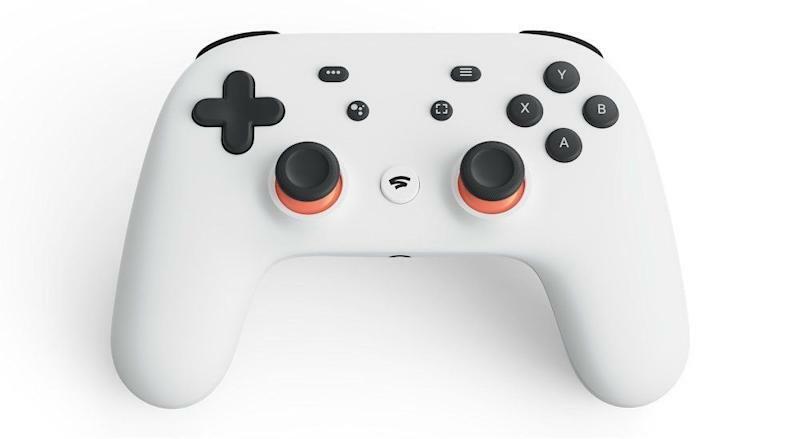 The new service will be playable via Google's own custom controller, the Stadia Controller, which, of course, has a Google Assistant button built in. The controller actually connects via Wi-Fi to the internet so that it hooks up directly to the server you’re streaming the game from to cut down on any potential lag. Then there's the issue of how much bandwidth game streaming services will require. Today's gamers are playing titles at 1080p and 4K resolutions with refresh rates ranging from 30 frames per second to 60 frames per second. Those refresh rates are even higher on high-end gaming PCs. To stream a 4K movie on a service like Netflix, though, the company recommends a connection speed of at least 25 megabits per second. You'll likely need a similar connection to stream 4K games. And while internet speeds have improved in the U.S. in the past few years, many Americans still can’t reach those levels.